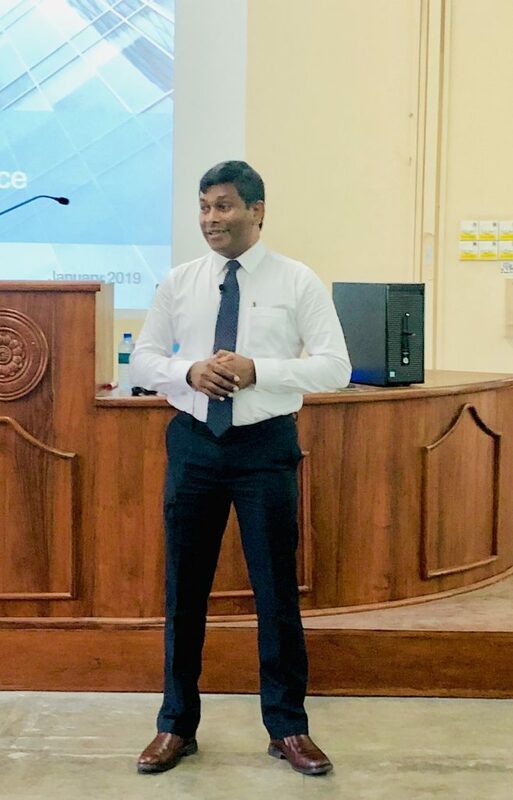 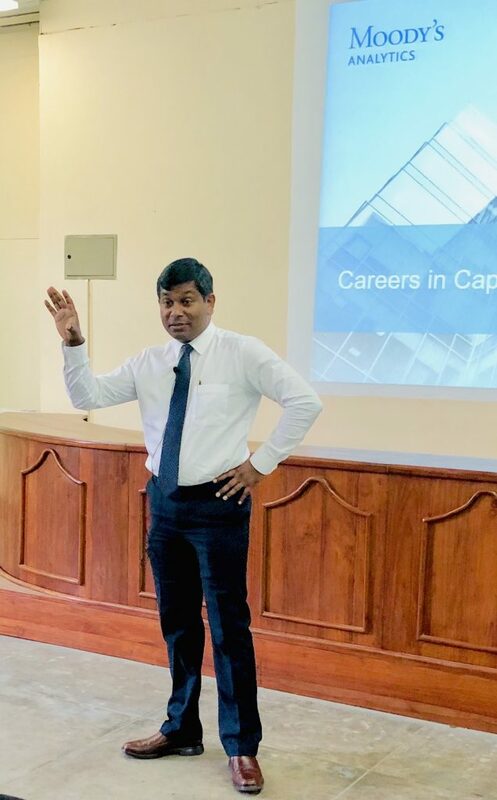 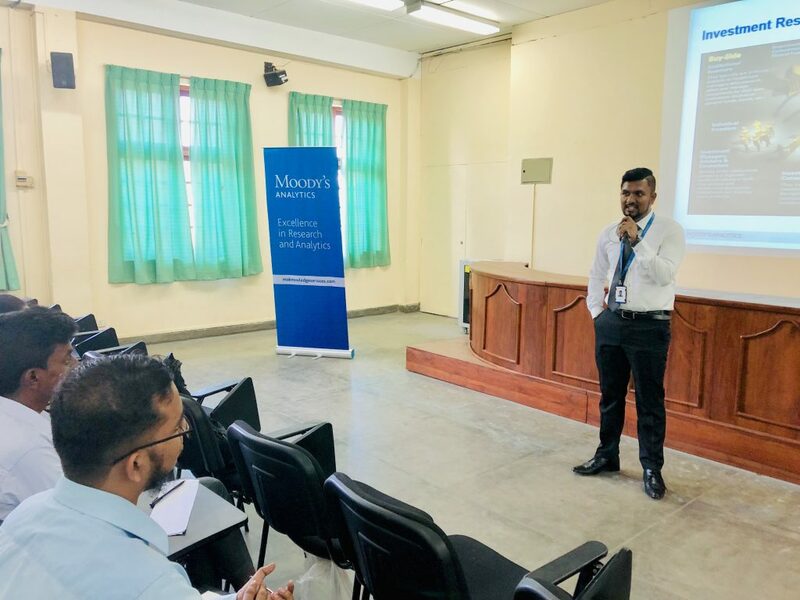 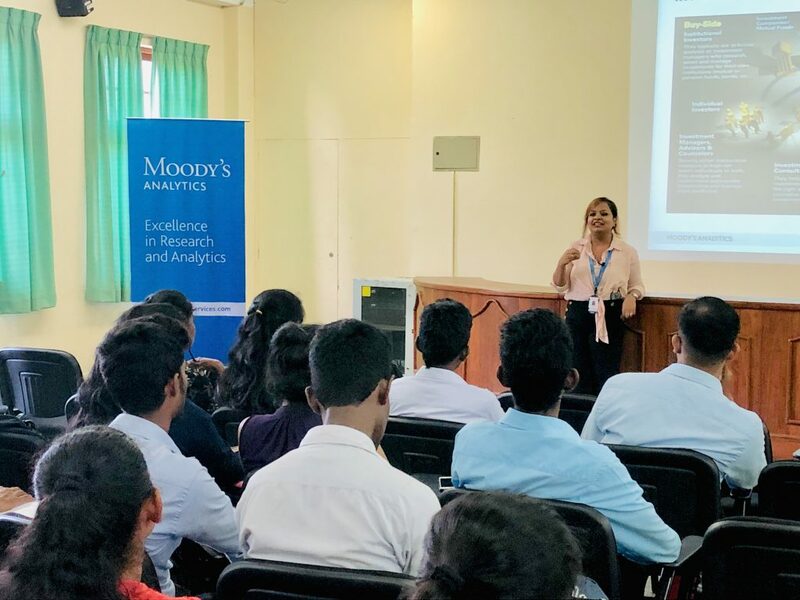 The Department of Business Economics organized a guest lecture on the theme, “Careers in Capital Market Space” which was conducted by Moody’s Analytics Knowledge Services. 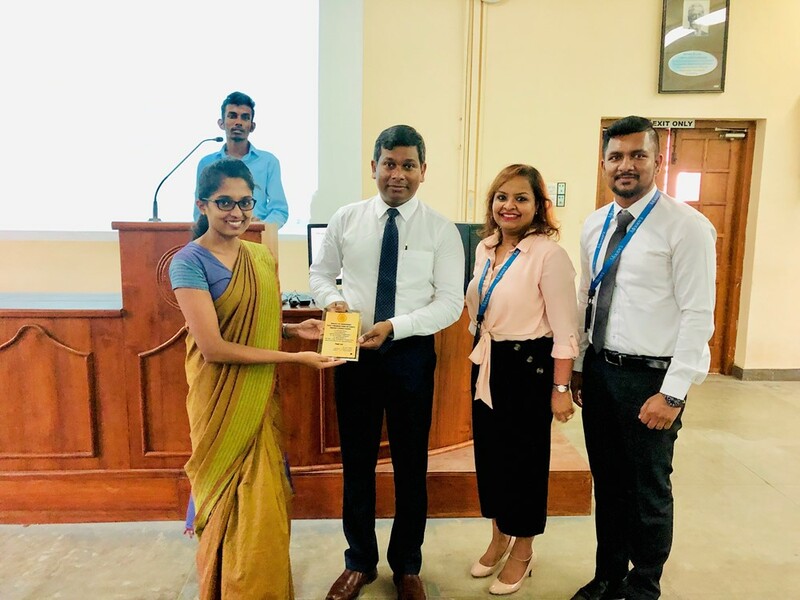 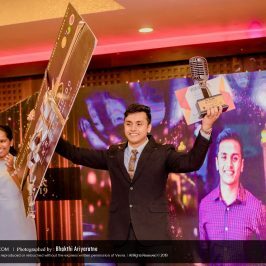 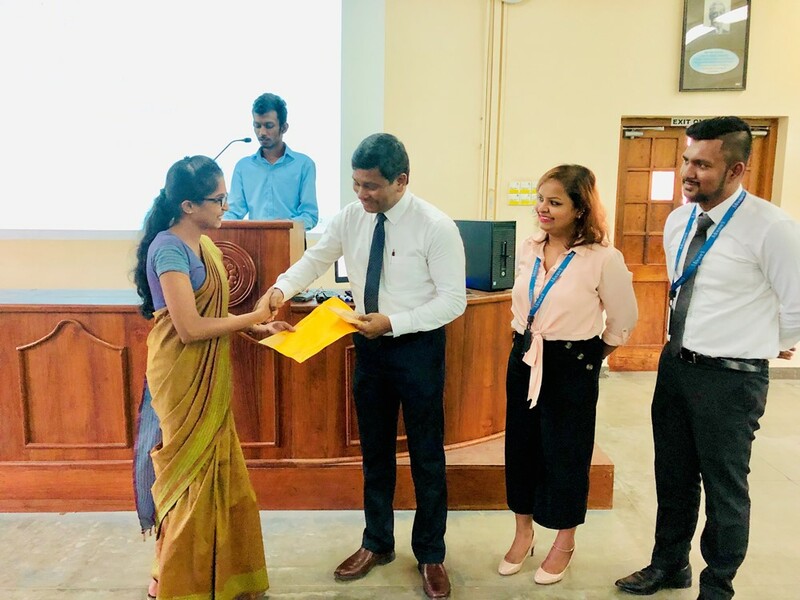 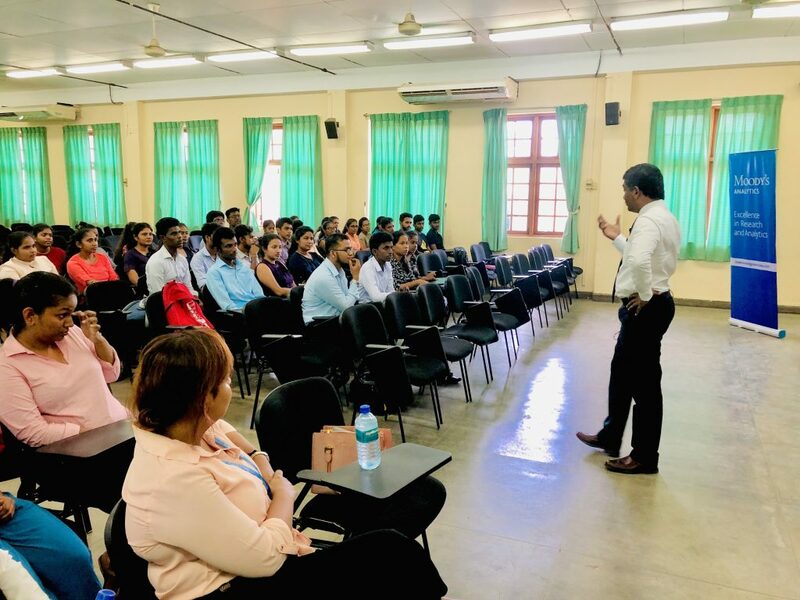 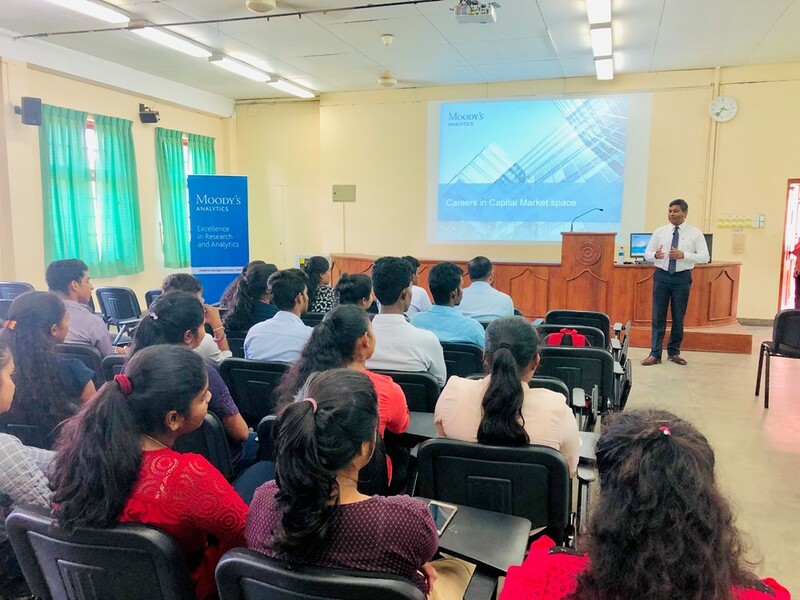 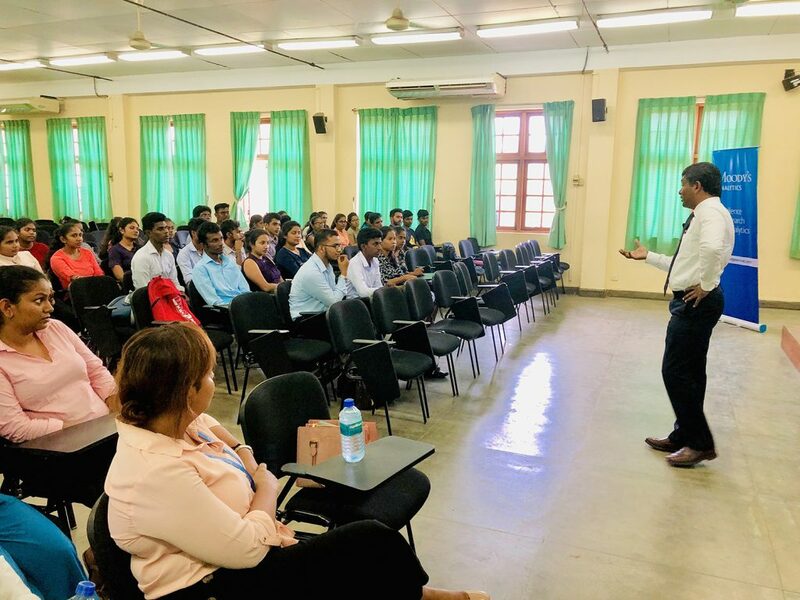 The Guest Speakers were Mr. Nuwan Jayewardana, Associate Director-Investment Research, Mrs. Rathnakala Kumaragurunathan, Assistant Director-Investment Research and Head of Training and Knowledge Management, and Mr. Keith Perera, Analyst-Investment Research. 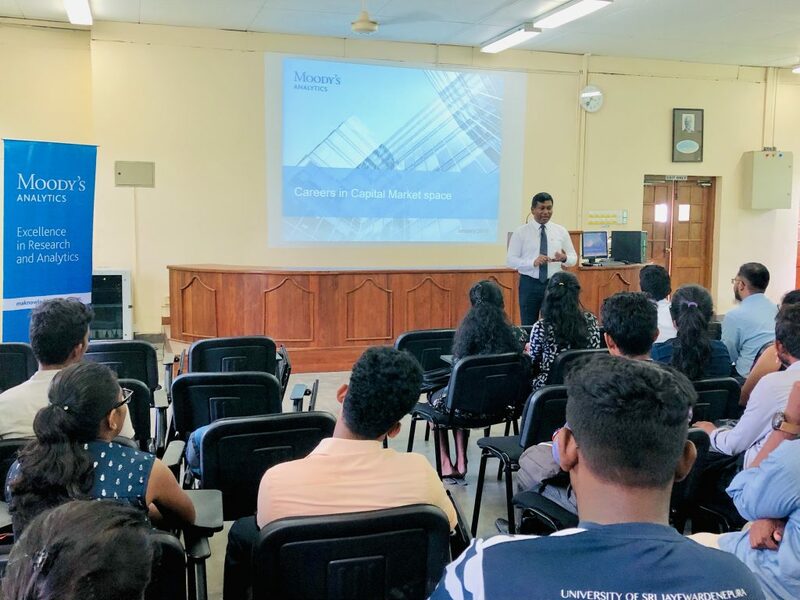 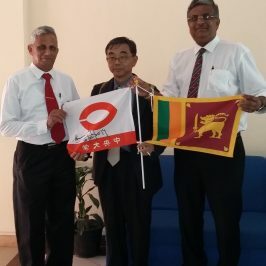 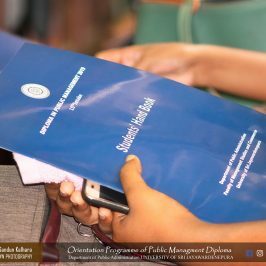 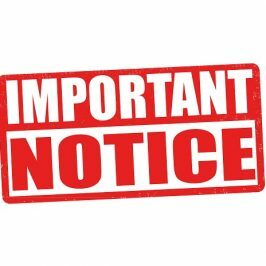 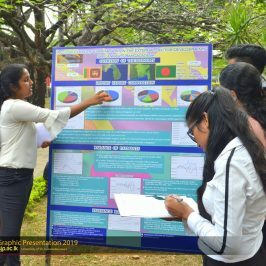 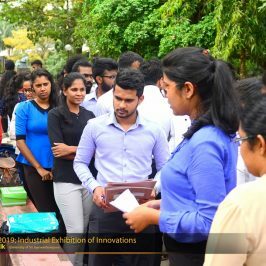 This was held on Monday, 28th January 2019 from 3.00 p.m. to 5.00 p.m. at the Fayol Hall of the Faculty of Management Studies and Commerce.